The Newbury Street ‘super-sub’ market has continued to develop and flourish since that time into its current iteration, where “the spaces above the ground floor are now some of the most desirable workspaces in Boston. These 207 buildings in Back Bay form a submarket within a submarket, a working enclave totaling over 3M SF. Properties on Newbury Street are able to leverage a built-in cool factor that most office buildings and new developments can’t duplicate. Unlike other Boston submarkets with seasonal attractions, Newbury Street is a year-round destination — the neighborhood has a perpetual energy,” according the Bisnow. 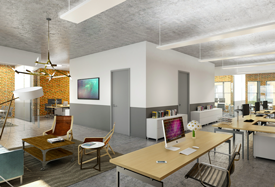 You can read the full Bisnow article on its website, here.